Storage space is limited, so there is a lower propensity to over consume and due to the size of the plot. The building is relatively simple and easy to maintain (a chore no city dweller wants to labor over). The tiny house style is very much a result of the financial crisis from which cheap housing was in demand. The above tiny house, conceived by Jordan Pollard, Make It Right’s research, design, and development manager, will sell for under $100,000. Make It Right's shift from full-scale houses to these small-scale counterparts could be a response to tighter funding streams and budget constraints, The New Republic claims. 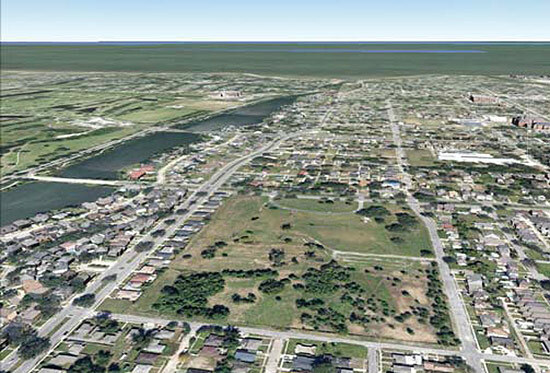 According to New Republic, in 2013 the foundation also opened up its homes to buyers who didn't previously live in the neighborhood before Katrina, indicating troubles under the surface. As Make It Right's houses struggled to attract buyers, the under-populated area also failed to attract businesses, stores, and services. That meant the predominantly elderly population living in the ultra-modern houses designed by architects such as Shigeru Ban and David Adjaye were miles away from supermarkets and other necessities. Some locals have also protested the structures' contrasting designs. When speaking to Wired, New Orleans architect Mac Ball of Waggonner & Ball said: “all these new buildings don’t look like they fit New Orleans very well.” New Republic went further, describing the new builds as a "a field of pastel-colored UFOs." Affordable housing developer Brandon Dughman is taking a different approach from building new, instead targeting existing building stock. Recently Curbed covered how Dughman renovated an old shotgun house to tactfully create a new interior. Despite the old structure's failures, Dughman celebrated quirks such as the slanted floor and visibly old doorways. Here, he has shown how the structures of New Orleans' past can still be a versatile, viable and attractive place to live. The University of Wisconsin team drew up plans for Quartier Vert, a phased development that capitalizes on the many new projects slated to open soon near Tremé and Tulane/Gravier. A desolate stretch of Canal Street would become an “outdoor lifestyle community” with restaurants, a hotel, apartments, and a medical office. 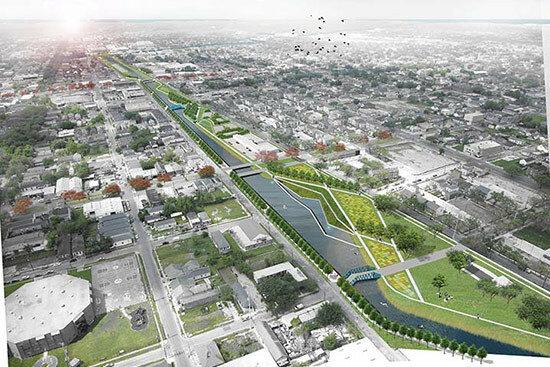 The team would also build a green infrastructure network with stormwater runoff channels, retention ponds, and bioswales." 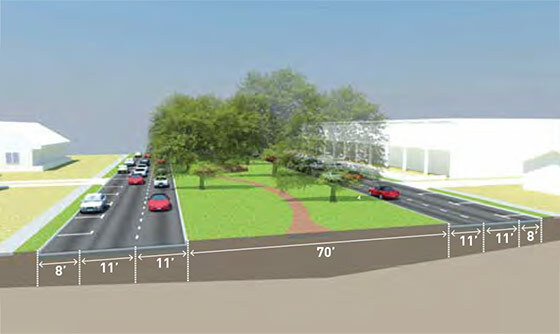 One of the two Harvard teams imagined turning the space underneath the interstate into the Grove, a linear park with “a vast canopy lattice structure” that spans below the roadway. This structure, built of locally salvaged wood, would channel rainwater into retention ponds, planters, and subterranean catchment basins. The full scheme, called Claiborne Grove, also realigns part of Claiborne Avenue to encourage slower driving and to create safer streets. New residential developments, finished in pastels, are intended to evoke New Orleans’ famous shotgun homes in color and form. Harvard’s other team presented Tremé 2, a scheme that caters to the city’s changing demographics. For newly arrived millennials, the team proposes Complete Streets to foster walkable and enticing neighborhoods. 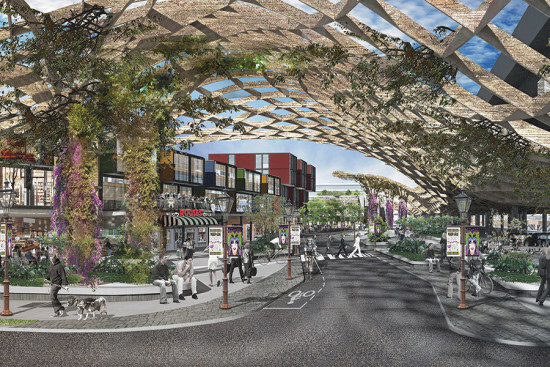 This would also include an “affordable trendy retail complex.” For the city’s baby boomers there would be easily accessible transit services and health services. 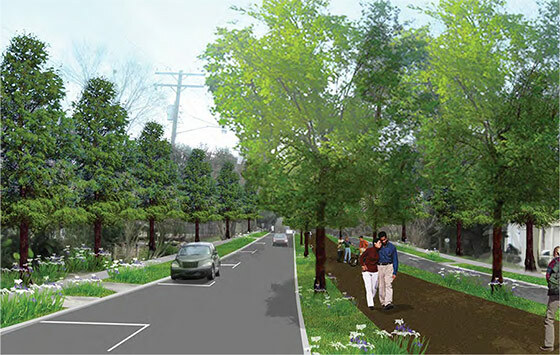 A pedestrian network that has both surface-level and elevated pathways called The Parade is set throughout the 23-acre site. The students also present an idea called the Portable Plantation, which uses interior courtyard spaces for urban agriculture projects. On November 30, the Arts Council New Orleans launched LUNA Fête, a large-scale, outdoor light and sound installation that can be experienced free by the public at Lafayette Square. The centerpiece of the event is a projection mapping display by French art group La Maison Productions that transforms the Crescent City's former city hall (Gallier Hall, 1853) into a neoclassical canvas. The nine-minute animated work plays on the columns and contours of the Greek Revival edifice with a richly layered spectacle inspired by the music and cultural history of New Orleans. La Maison Productions used four large projectors to animate the facade with its symbolically loaded and musically inspired motion graphics. The installation features an original score by Cyril Salvagnac. "This installation is very different from the other projection mapping installations we have created in the past, where we used more classical music with the graphic images," said La Maision Productions founder Sebastien Salvagnac, who worked on the project with creative imagery director Damien Fontaine. "The music of New Orleans inspired us to go in directions we had never tried before." 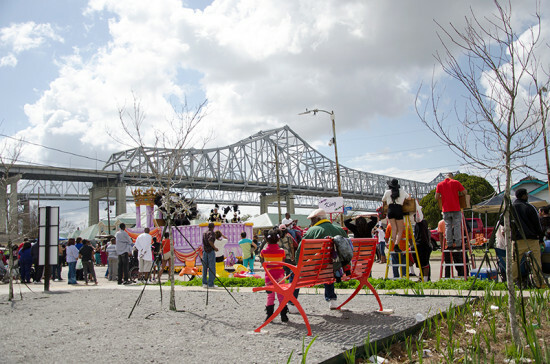 Arts Council New Orleans commissioned the project and launched LUNA Fête to celebrate and promote the local art community. It is assessing the feasibility of making it a yearly event in the run-up to the city's 2018 tricentennial. The projection will take place twice nightly at 7:00 p.m. and 7:30 p.m. until December 6. 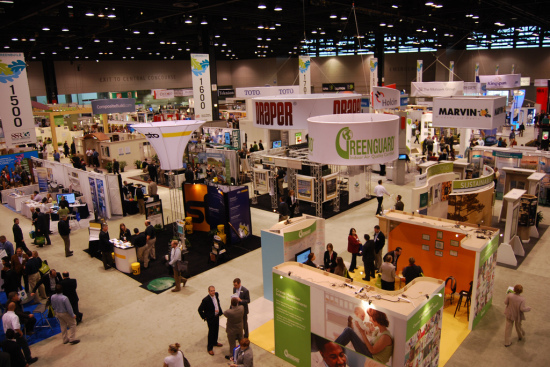 Greenbuild 2014, the country's largest conference and expo on sustainable building and design, will be held at the Morial Convention Center in New Orleans. This year's conference, which runs from October 22–24, is themed "Leadership Jazz" and is expected to draw 23,000 attendees and 600 exhibitors from around the country. “This year, we’ve created a world stage in New Orleans for two interrelated subjects – resilience and climate change — in a city that demonstrates the powerful force of human resilience every day as it rebuilds in ways that protect and showcase its dynamic cultural background. It’s the perfect city to host this year’s conference," said Rick Fedrizzi, president, CEO and founding chair, of the Green Building Council in a statement. In total, Greenbuild will include "more than 240 education sessions, LEED workshops, summits, expo education sessions and tours of notable areas in New Orleans." For more on Greenbuild, visit their website and be sure to come say hello to AN at booth #3162. Earlier this month, the Van Alen Institute announced Future Ground, an international design competition that is hoping to attract fresh strategies for reusing the many vacant lots that dot New Orleans. The competition is seeking submissions from landscape designers, architects, planners, public policy wonks, and pretty much anybody in the business of shaping urban environments and is supported by the New Orleans Redevelopment Authority (NORA), which owns more than 2,000 vacant lots. There are somewhere around 30,000 empty lots and abandoned structures throughout New Orleans today, most of them left by Hurricane Katrina, which devastated the city in 2005. 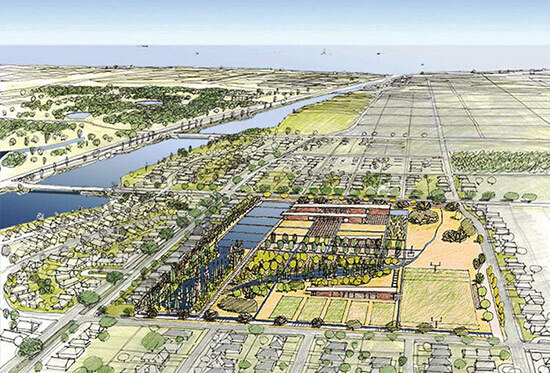 As the 10-year anniversary of the storm approaches, Future Ground is looking to create design and policy strategies capable of adapting to changes in density, demand, climate, and landscape in New Orleans over the next half-century in an effort to turn these abandoned landscapes into lasting resources. 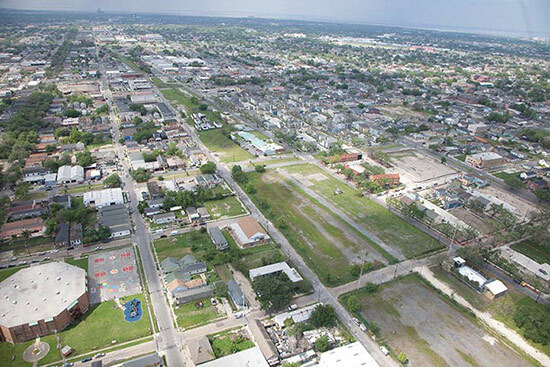 NORA is currently working with New Orleans–based landscape architecture firm Spackman Mossop Michaels to develop land use strategies to reduce maintenance on many of its vacant lots. The firm's principals, Elizabeth Mossop and Wes Michaels—along with Richard Campanella of Tulane University, Renia Ehrenfeucht and Marla Nelson of the University of New Orleans, and Allison Plyer of The Data Center—are serving on the competition's Futures Team. "Some of this land might not be developed for a long time. It's important that the teams we select are not just looking at solutions for now, but for 10, 20, 50 years from now," said Jerome Chou, director of competitions, Van Alen Institute. "They need to be flexible, accommodate future needs, changes in the climate, and shifting development pressures. That's what the Futures Team is going to help us do. They will be working on potential scenarios of how the city might change over the next half century. 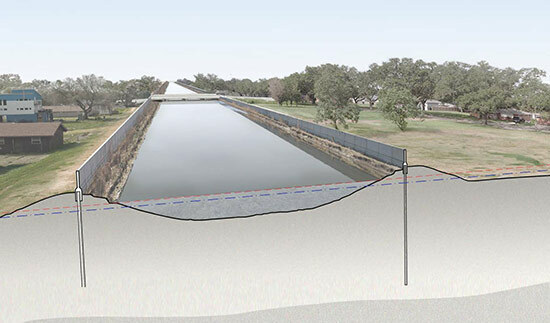 It's obviously not set in stone, but thinking through those scenarios can help us tell residents, government officials, and philanthropists 'here's what's possible.'" Winning teams will be selected from an international open RFQ process. Applications are due by September 29, 2014, and will be evaluated by a jury of local design and policy leaders, as well as representatives of other cities with land reuse problems of their own, including Dan Kinkead of Detroit Future City, and Terry Schwartz of the Cleveland Urban Design Collaborative. Each winning team will be given a $15,000 stipend and will be asked to work closely in a six-month collaborative process with local stakeholders and national leaders. The goal is to bring small, incremental improvements to individual neighborhoods as well as the city as a whole; to develop policy that bolsters beneficial design strategies; and to make these strategies good enough to be sustained into the next generation. The Van Alen Institute will help out the selected teams to make up for the modest figure of the stipend by promoting their work nationally and internationally and developing networks. 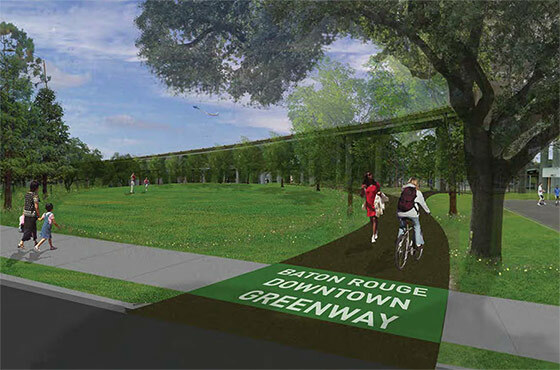 [beforeafter] [/beforeafter] How the greenway might look as it passes through Expressway Park. 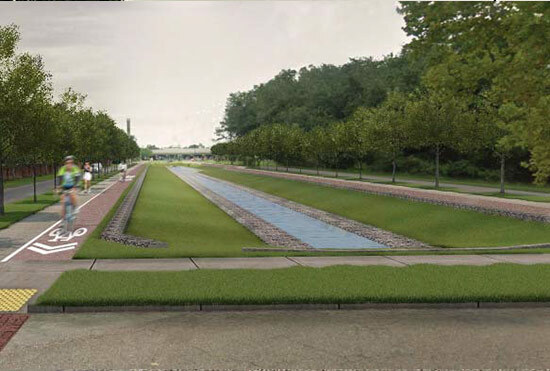 As AN reported in our latest Southwest edition, Baton Rouge and New Orleans are gearing up for changes across their respective urban landscapes with two new master plans by landscape architecture firm Spackman Mossop Michaels. 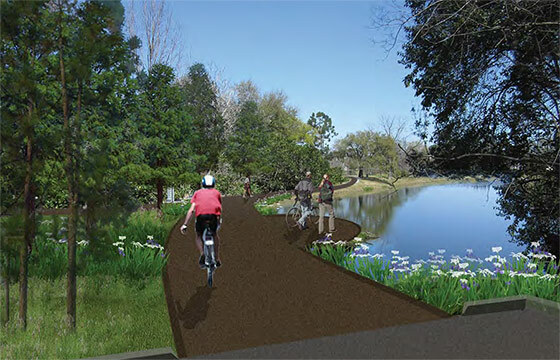 The firm has shared these before and after views of the proposed Baton Rouge Greenway, which provides "a vision for a greenway that connects City-Brooks Park near LSU’s campus on the south side of the city to the State Capitol grounds to the north, while stitching together adjoining neighborhoods and other smaller landscaped areas along the way" Slide back and forth to see existing conditions and SMM's plans for the area and be sure to learn more about the projects in AN's news article. 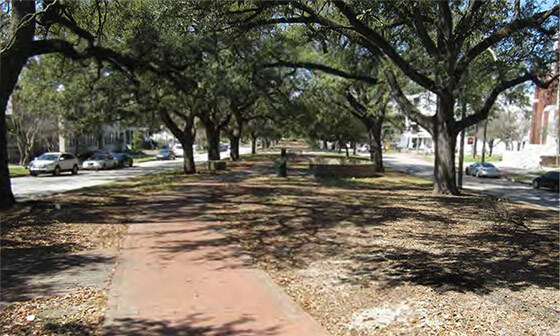 [beforeafter] [/beforeafter] How the greenway could enter the park at the terminus of North 7th Street. 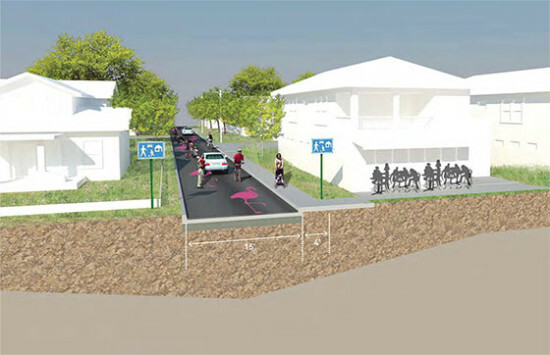 [beforeafter] [/beforeafter] Design concept street section through North 7th Street in Spanish Town. 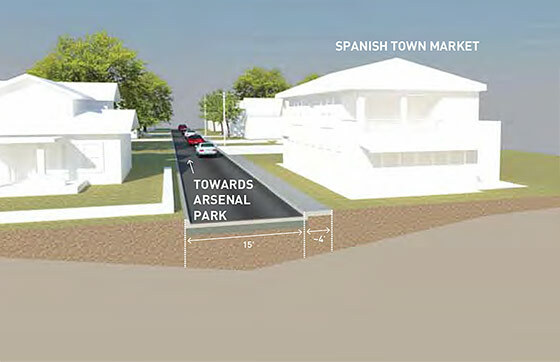 [beforeafter] [/beforeafter] The design option for the street section through North 7th Street. 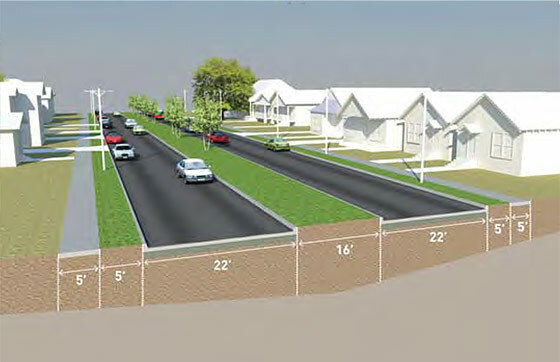 [beforeafter] [/beforeafter] The design option for the street section through North Boulevard. 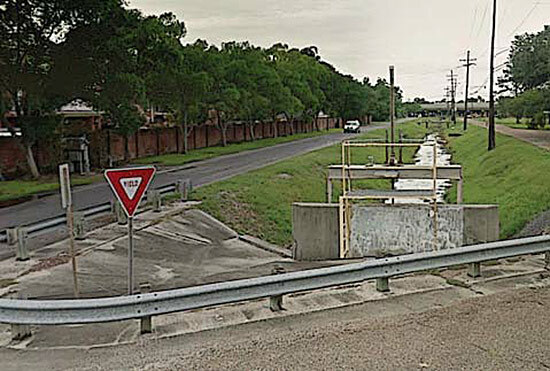 [beforeafter] [/beforeafter] A wider, straight path going down the median of North Boulevard. 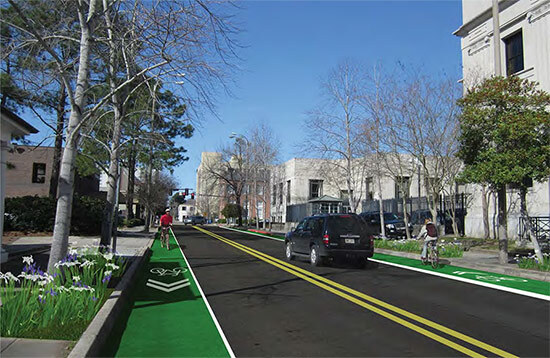 [beforeafter] [/beforeafter] How the greenway might look on this part of North 7th Street. 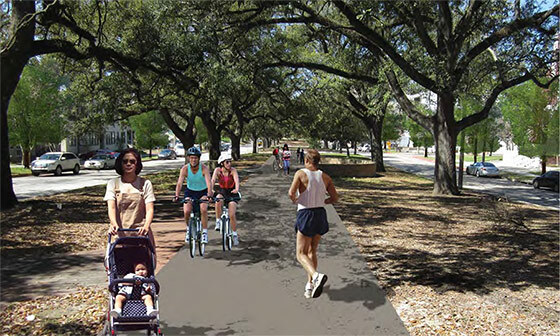 [beforeafter] [/beforeafter] What the greenway would look like going down the median of East Boulevard. 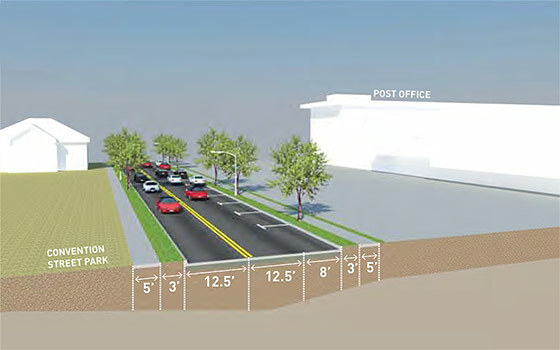 [beforeafter] [/beforeafter] A design option for the street section through East Boulevard. The Congress for the New Urbanism has released their annual list of Freeways Without Futures. The organization selected the top 10 urban American (and one Canadian) highways most in need of removal. The final list was culled from nominations from more than 50 cities. Criteria for inclusion included age of the freeway, the potential that removal would have to positively effect the areas where the roadways are currently situated, and the amount of momentum to realize such removals. 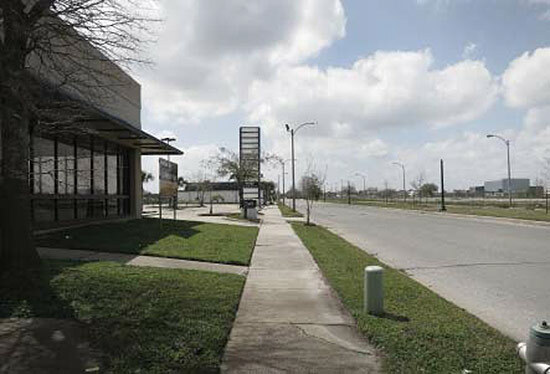 Additionally the CNU highlighted campaigns in Dallas, the Bronx, Pasadena, Buffalo, and Niagra Falls, that are taking significant steps towards removing freeways (some of which have been included in past lists) as illustrations of broader institutional and political shifts on urban infrastructural thinking. I-10/Claiborne Overpass - New Orleans The already aging Interstate 10 was heavily damaged in 2005 during Hurricane Katrina. 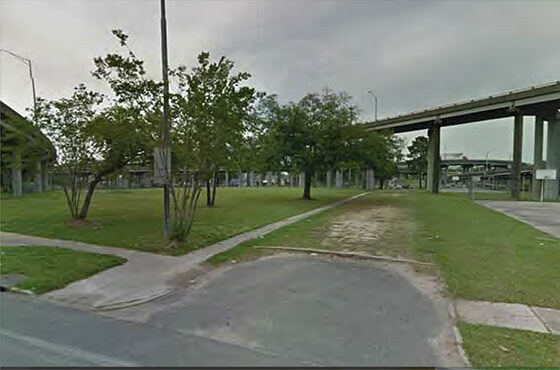 The Unified New Orleans Plan (UNOP) suggested that the removal of the elevated portion of the highway would allow for the reclamation of 35 to 40 city blocks and 20 to 25 blocks of open space. 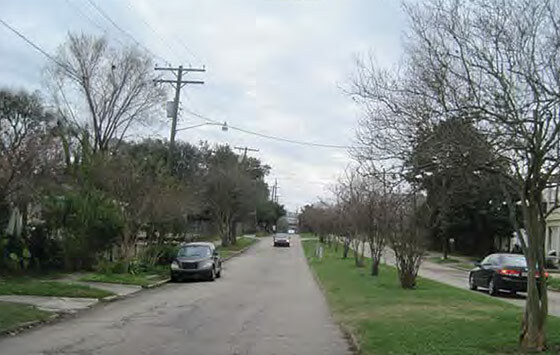 With the help of public engagement Livable Claiborne Communities outlined a plan for a similar removal that would improve living conditions in the neighborhood in the immediate vicinity of the expressway. I-81 - Syracuse This road, including an elevated portion that runs through downtown Syracuse, was built in the 60's. 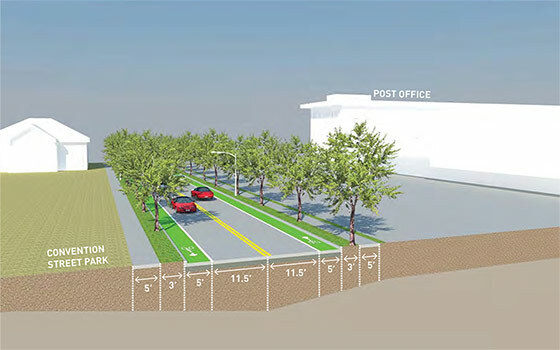 Advocates for the transformation of the most urban portion of the freeway could be replaced by a boulevard that would connect neighborhoods, inject economic activity into the area, and be cheaper to maintain. Numerous local politicians have spoken in favor of such a plan and the Syracuse Metropolitan Transportation Council and the New York State Department of Transportation (NYSDOT) co-led the I-81 Challenge to examine traffic patterns and alternatives to the current state of the highway. Gardiner Expressway - Toronto Unpopular with local citizens, the overworked Expressway requires more than $10 million annually in repairs. 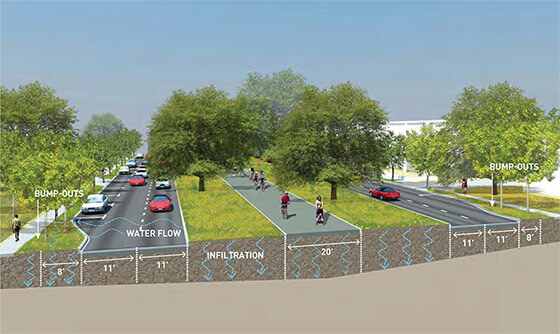 Recently, the City of Toronto and WATERFRONToronto finished work on the Gardiner Expressway & Lake Shore Boulevard Reconfiguration Environmental Assessment & Urban Design Study which will dictate the future of the portion of the Gardiner overlooking Lake Ontario. Route 5/Skyway - Buffalo The Skyway Bridge and Route 5 mar public views of the Buffalo River, diminish land values, and create a web of confusing traffic patterns predicated on inefficient one-way streets. The Department of Transportation rates the Skyway bridge as "fracture critical" while the Federal Highway Administration classifies the bridge as "functionally obsolete." It is likely to cost more than $50 million to maintain over the next two decades. Inner Loop - Rochester The Loop was built for the city Rochester once was, rather than the shrunken metropolis that stands today. For this reason much of the beltway carries traffic that could easily be carried by a urban avenue. Furthermore it constricts the downtown area, inhibiting development and isolating adjacent neighborhoods. 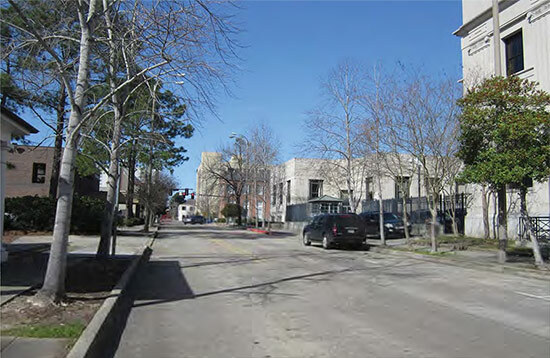 In 2012 the city was awarded a USDOT TIGER grant to replace the eastern portion of the Loop with a two lane boulevard flanked by street parking. I-70 - St. Louis I-70 separates the city from the waterfront of the Mississippi River and Saarinen's iconic arch. Calls for bridging this divide by converting the expressway into an urban boulevard have been long simmering. 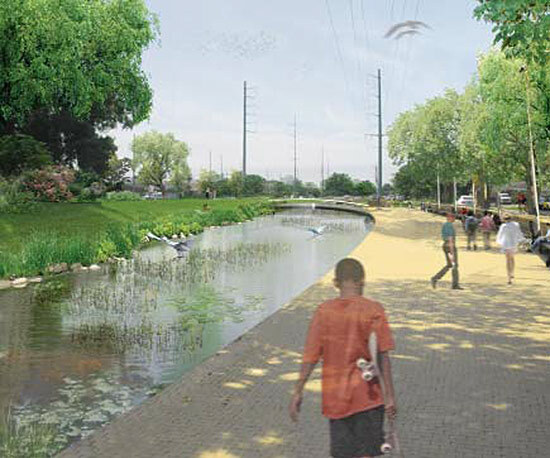 Park Over The Highway is a $380 million project for a park and pedestrian and bike path that leaps I-70 in connecting the city to the area abutting the river. I-280 - San Francisco Meant to be part of a larger web of freeways that was ultimately halted by mid-century protests, the removal of this highway stub would increase the land values of the area by $80 million according to a report by Fourth and King Street Railyards. 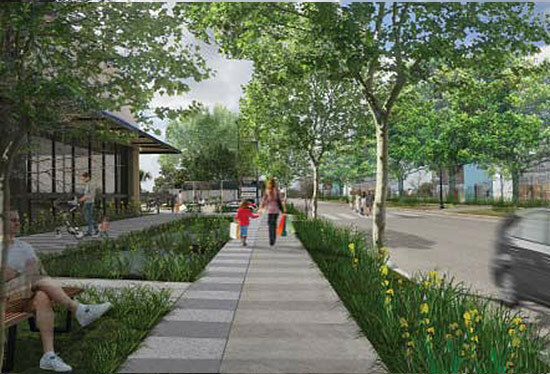 Replacing the strip with a urban boulevard would open the area for further redevelopment and allow for greater fluidity between neighborhoods. The city's Center for Architecture + Design has hosted a design competition for such a project. I-375 - Detroit This 1.06 mile strip served to divide portions of the city and contributed to the isolation and subsequent decay of once thriving black neighborhoods. Detroit's drop in population has lead to a 13% decrease in usage since 2009. 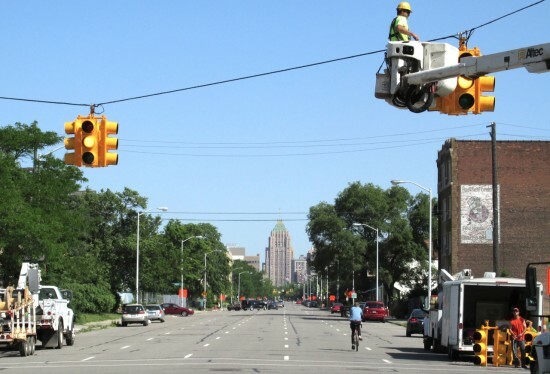 In December of 2013, Detroit's Downtown Development Authority moved forward with alternative plans for the highway, with particular focus on converting the road into a more pedestrian-friendly thoroughfare. Terminal Island Freeway - Long Beach As it stands the freeway currently serves a mere 14,000 vehicles a day, numbers that could drop further if plans to expand the Intermodal Container Transfer Facility come to fruition, a development that would redirect significant freight traffic in the area. 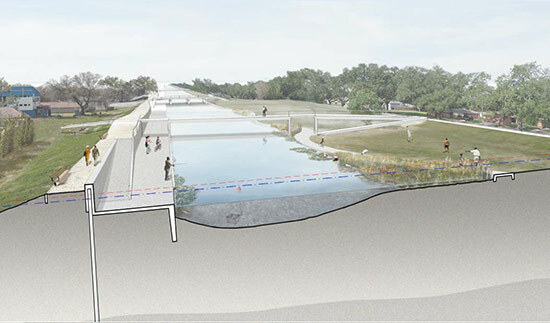 Local nonprofit urban design studio City Fabrick have spear-headed a movement to convert the road into a greenbelt that would act as a buffer between residential districts and industrial port infrastructure. In 2013 the plan was awarded a Caltrans grant. Aetna Viaduct - Hartford This 3/4 mile stretch of elevated expressway was completed in 1965. In running directly through downtown Hartford the Viaduct destroyed historic architecture, public spaces, and severed inter-community links once easily traversed by foot. 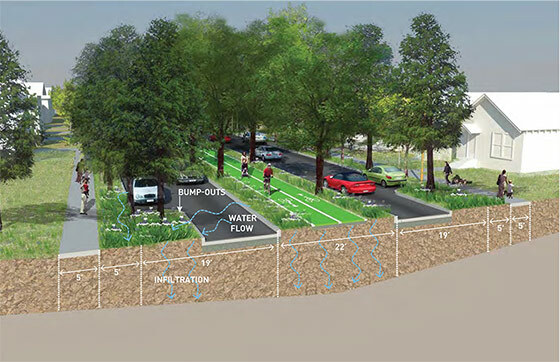 Initially set for costly re-surfacing that would increase its lifespan by 20 years, new plans are being considered for the heavily-trafficked road. Hartford officials and Capitol Region Council of Governments (CRCOG) are currently considering plans to re-align nearby rail tracks that would open 15-20 acres of nearby land for redevelopment. 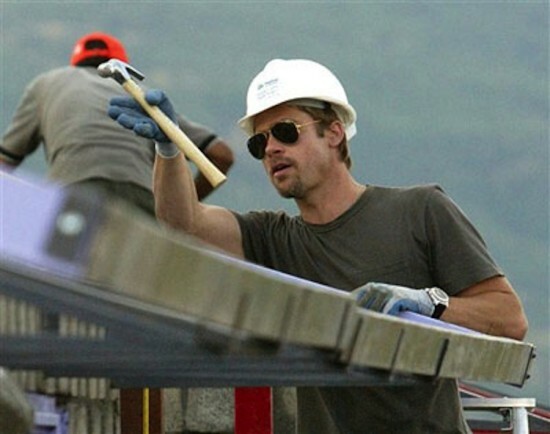 The houses built by Brad Pitt's charitable organization, Make it Right, in the wake of Hurricane Katrina are already in need of refurbishing. 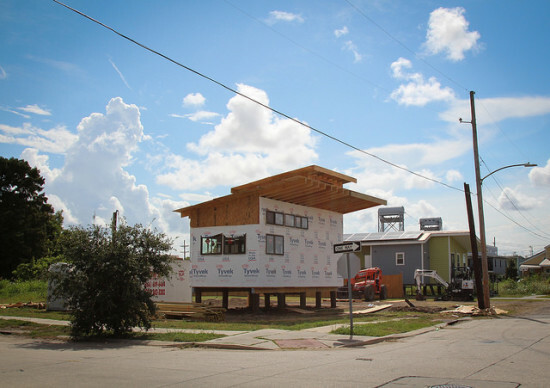 The foundation is part of an effort to restore New Orleans' 9th Ward through the construction of 150 architect-designed homes featuring modern design, but the timber used on the exteriors of many of the homes is proving no match for the area's moisture and is beginning to rot. The charity has said it will work with their provider TimberSIL to solve the problems with the rapidly decaying wood. 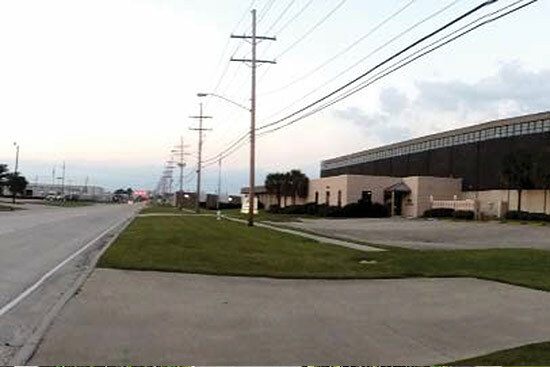 Pitt founded Make it Right to offer green sustainable architectural contributions to New Orlean's recovery efforts. The actor called upon prominent figures within the Los Angeles architectural scene—Frank Gehry, Hitoshi Abe, Thom Mayne, and Lawrence Scarpa among others—to create affordable houses to be installed in the neighborhood of the city hardest-hit by the storm. Shigeru Ban and David Adjaye have also contributed designs to the foundation. In 2009 he met with President Obama and Nancy Pelosi to discuss his efforts in New Orleans and sustainable housing policy. The charity is another step in the actor's ongoing and well-publicized flirtation with architecture. It is also not the first time one of his ambitious undertakings in the field has hit a bit of a stumbling block. Developed with affordability in mind, it seems unlikely that any of the Make it Right homes will feature pieces from the actor's 2012 furniture collection "priced at the highest end of the custom-furnishing scale." With terminals at Washington D.C.'s Ronald Reagan International Airport and the Tokyo Haneda Airport under his belt (among several other transportation hubs), Cesar Pelli is no stranger to the challenges of designing airports. The New Orleans Times-Picayune reported that the Argentinian-born architect, who assisted Earo Saarinen on the iconic TWA terminal early in his career, will now collaborate with two New Orleans–based firms, Manning Architects and Hewitt Washington Architects, to redesign the Louis Armstrong New Orleans International Airport to coincide with the city's 300th anniversary in 2018. The roughly $650 million project will involve demolishing old parts of the current terminal and adding a three-concourse, thirty-gate terminal on a 42-acre sit on the north side of the airport. In addition, the proposal calls for a $17 million hotel, new power station, highway ramp, and 3,000-space parking garage. 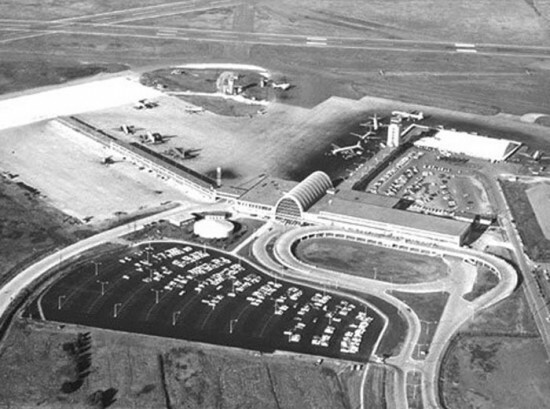 Pelli explained his approach to designing airports in an interview with the Washington Post in 1997: "I like airport terminals that have lots of natural light, that are spacious, that make you feel comfortable, where being there is a pleasant thing," he said. 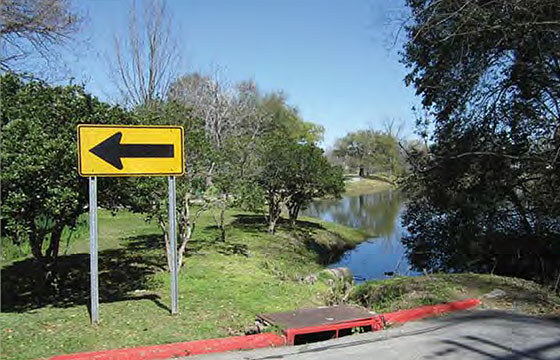 "It is also important that directions be easy to follow. Unfortunately, most airports have been designed primarily for the convenience of the airlines. People are just an inconvenience." New York–based conceptual artist Mary Ellen Carroll will debut her newest project, PUBLIC UTILITY 2.0, at New Orleans' contemporary art biennial, Prospect.3 in Fall 2014. In it, she identifies communities across New Orleans that remain choked for resources since Hurricane Katrina ravaged the city in 2005. 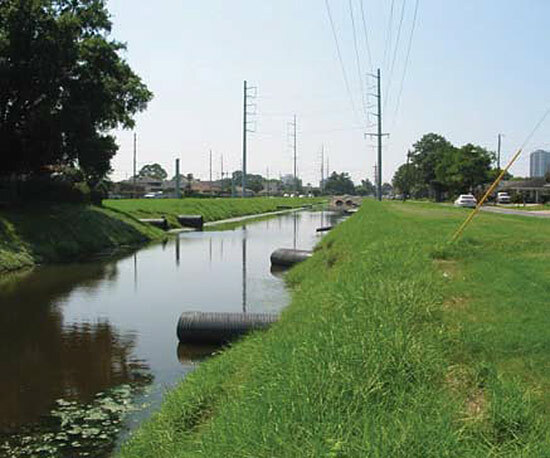 Responding foremost to the lack of connectivity in these areas, Carroll is utilizing unoccupied TV channels, cultural motifs, and an innovative wireless technology developed at Rice University in Houston, Texas, to create infrastructure that will become a permanent characteristic of The Crescent City. PUBLIC UTILITY 2.0 will consist of two broadband Internet broadcast towers built in sections of the city that will then connect to hubs. The locations of the hubs will be distributed throughout greater New Orleans based on crowd sourcing. By using Internet broadcast towers, Carroll hopes to reimagine traditional city planning by prioritizing what she calls “the elevation plan and broadcast spectrum.” In doing so, physical location will have little correlation with lack of connectivity of under-resourced communities. A key motivator of PUBLIC UTILITY 2.0 is its potential impact on a national policy debate about the scheduled auction of airwaves for wireless broadband in 2014 by the Federal Communications Commission. Carroll compares the government selling the unused television spectrum to selling public land. The technology that empowers PUBLIC UTILITY 2.0 is in the developmental stages in Rice University’s Wireless Network Group, led by professor Edward Knightly. The group is experimenting with launching residential broadband Internet service through “TV white space” or TVWS. 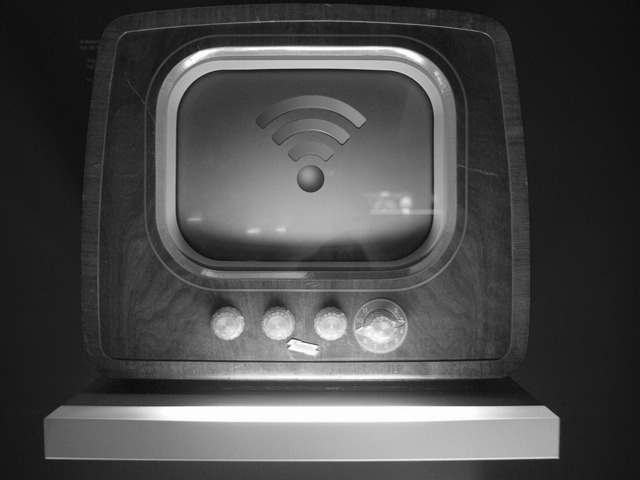 The service will function like a WiFi hotspot, though it differs in that TVWS emits “lower-frequency TV signals [that] penetrate walls and propagate over distances, meaning it can serve a larger population. The latest TVWS technology released by Knightly’s team earlier this week is estimated to reach a range of about 1 1/4 miles. 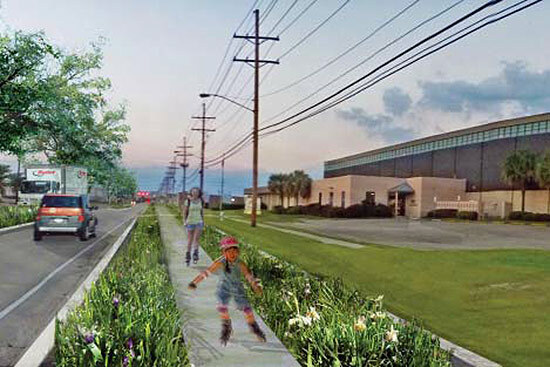 Carroll hopes PUBLIC UTILITY 2.0 will reach beyond New Orleans to become a template that other U.S. cities can utilize. She envisions the broadcast towers becoming cultural symbols similar to Moscow’s Shukhov Tower, LA’s Watts Tower, or the RKO transmitter. “The towers would be the visible presence in the city, and the connections they provide would create a cultural, economic, and social platform for greater New Orleans,” she said.